By: Timothy A. Brown | Category: Articles, Dental, Practice Management, Retirement. We have just returned from the 2011 Yankee Dental Congress in Boston Massachusetts. All the various practice management experts were talking about this one very important statistic: over 50% of north America’s dentists are now over 50 years of age. This equates to over 125,000 dentists that can now be classified as middle-aged and they have reached a very distinct precipice in their career—namely that they all wish to increase their earnings—while reducing their working hours. This phenomenon is a direct result of the ageing “baby boomer” population and our mentality to live a more active life outside of our career. The need to work fewer hours as we age is a natural process that most self-employed professionals experience. We believe that more professional advisors should be encouraging a reduced workweek if only to prolong both our life and career span. Evidence of this trend among dentists is found in the discussions we have with hundreds of clients each year. In fact, the first quarter of 2011 is revealing the largest increase in retirement planning clients that our firms have ever served. Many report that they have too many stressors (staff, patients, landlords, suppliers, labs, etc.) and that their practice is ‘taxing’ them on an ever-increasing basis. Most openly admit they love the work (most of the time), and the financial rewards, but that the bad days are occurring more often while the good days are fewer. They also say that they lack the abundance of energy they once enjoyed and, given that their patients are also ageing, the need to address the increasing demands of those patients is causing a backlog of work and a feeling of inadequacy. Effectively, they have too many patient demands, yet they want to reduce their hours. So what do they do? What should you do when this happens to you? Relax. This is a very common symptom of the maturation of your practice. Having too many patients is a luxury and an opportunity to modify both your dental practice and your practice philosophy. Let’s consider the basic economic principle of supply and demand for a moment. 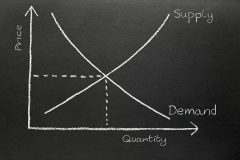 It states that supply has an impact upon demand and vice-versa. It also proves that price changes with a rise or fall in either variable. Now, let’s consider the dental practice that has too many patients. This suggests a greater demand than supply. The result should be a higher price. Another result could be a limiting of the supply, which would support the increased price while allowing for less work without affecting the bottom line. Essentially, this is the work less/make more objective that most professionals strive towards as they age and perfect their skill set. The limiting of the supply of your dental service can also be related to the principle of scarcity. Scarcity suggests that when the service is in very short supply, it may demand a very high price. Specialists are a good example. Can general dentists implement scarcity in practice? Yes. We believe that general dentists, at various stages of their careers, can test this theory. Test it for yourself. Schedule a month or two of limited hours within your practice. You must plan it purposely and resist the temptation to open up more than 20 chair-side hours each week in your schedule. After the test period is over, return to your regular schedule for a few months then repeat the process again. Then judge the results for yourself, both personally and financially. You should discover that your scarcity (limited supply) immediately supports the increase in demand for your service. At first this appears to be an obvious effect due to your reduced hours. However, the unique side effect, which is often overlooked, is that you will be able to increase your fees. Some patients will have difficulty adapting to the new fees and your limited hours, and others will seek out a new dentist, thus creating a net patient loss for your practice. This may seem bizarre to some of you, but we know of dentists who are planning for a monthly net patient loss, and not for the more typical net patient increase figure. The result they are seeking is that they will be able to increase their fees and decrease their hours. Most professionals can take advantage of this phenomenon, assuming they are fully booked. 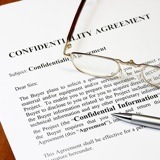 This test is not advisable to those who are servicing large debts or family obligations. And furthermore, there are individual circumstances to consider. The principle of supply and demand is at the core of most every capitalistic venture. If, after trying this experiment you have not found relief, you may want to consider your other options, such as contracting a permanent, part-time Locum dentist to assist with your patient load. Whatever your patient load is today, it can be modified to suit your personal needs. If you have too many patients and desire to work less and make more, this test may prove to be one of the greatest you have undertaken.